Is Solar Power Worth It if You Live in Idaho? There are some Idahoans who have either never really considered solar power as a serious energy solution they could employ, or who have considered it and rejected it as a viable, realistic option. That lack of serious consideration or outright rejection is generally in response to a couple of common objections and assumptions. One of those beliefs is that solar is prohibitively expensive. Another objection, one that’s often related to the first, is that solar doesn’t make sense in Idaho. After all, the thinking goes, we’re not California, Arizona, or Florida. In Idaho we experience four distinct seasons, and they’re not all primarily defined by the sun being out. It turns out that while those concerns about a solar Idaho may seem to make somewhat intuitive sense, and may have been more applicable several years ago, the Gem State is actually a great place to get solar power. And in a lot of ways, Idahoans are a great population for solar—here’s why. There’s a common fallacy that people tend to apply to solar power and, again, it’s one that makes basic intuitive sense but turns out to be wrong. That is: solar works better in hot, sunny places like Florida, California, and the southwest. In reality, Idaho, and perhaps places like Twin Falls and the Treasure Valley specifically, may very well be a better environment for solar than the notoriously sun-drenched portions of our country. Because, for photovoltaic (PV) solar cells, it’s the light you want, not the heat. And excessive heat can actually make PV panels’ conversion of light to energy less efficient. So a cool, clear sunny winter day is in some ways a better day for solar energy than summer days with scorching, record-high temps. All that being said about living in the more southern and sunny-coastal regions of the country not being necessary for optimal solar energy production, sunlight is obviously a necessary component of solar power working. Fortunately, that makes Boise one of the best places in the country to employ solar power as it’s among the top 50 sunniest cities in the United States. That’s a good place to be for solar power. 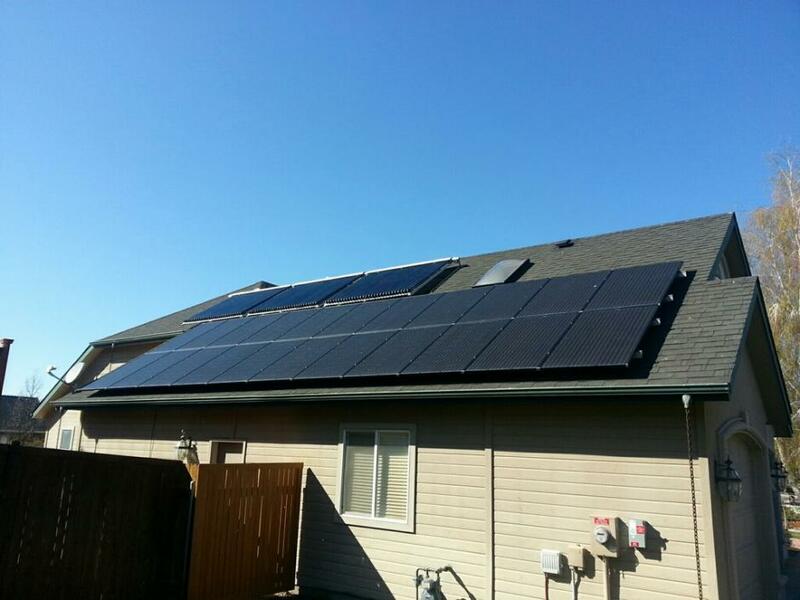 It also makes the inclusion of solar energy in any strategy for energy management Boise residents employ a common-sense move. So, according to the evidence, it’s clear that Idaho—and certainly the sunnier segments of the Gem State like Twin Falls and Treasure Valley—is a great place for solar energy. That leaves the question of whether or not it makes sense for Idahoans. Of course, there’s pretty much no issue or question like this for which there’s one solution that works for absolutely everyone. However, solar energy is becoming an increasingly popular solution in Idaho because it’s not only a great way to reduce power usage, decrease our carbon footprint, and ensure Idaho stays clean and green, but solar power can also save people ample sums of money. And with Idaho’s varied regulatory programs, even the price of installing solar can be offset with tax incentives, rebates, and credits. As the largest Idaho solar company by installation volume over the course of their eight-year history, EvenGreen Technology (EGT Solar) is Idaho’s foremost solar power provider and renewable energy innovator. Since their founding, EvenGreen Technology has remained dedicated to an education-first functional philosophy to ensure that their clients have the clearest understanding of the options and technology possible to inform their current and future needs. From the ever-increasing Twin Falls solar installations to their Meridian, ID headquarters, EvenGreen Technology remains the sole Idaho-based renewable solar energy company to be included on the prestigious Solar Power World Top 500 Solar Contractor list for the past two years running.